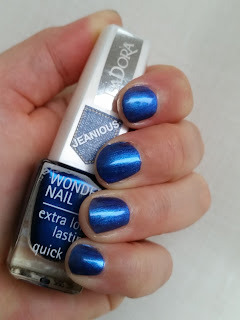 NOTD: Isadora Jeanious "525 Hot Legs"
When I saw this popping up on the Swedish nail blogs I was like 'gotta get me some of that!'. Luckily my mum scored this for me in Sweden, and the matte "Bootcut", for me before they were all gone! I did 2 thin coats here. That's right, 2. It's ridiculously easy to apply, dries quickly and is hardly brushstroke-y at all. OMG, I have to add this to this year's Top Ten nail polishes already! I topped it with Sally Hansen MegaShine top coat, a brand new bottle. Have I ever mentioned how I love that stuff; every time I use it I wonder why I bother trying other top coats?! This polish is like sapphire and ice - it has this shift to a cooler lighter blue that is impossible to capture on camera. 5 out of 5 stars for me! I *love* a tinted lip balm. I have a lot of different ones, so of course, I needed to try this one when I saw it. 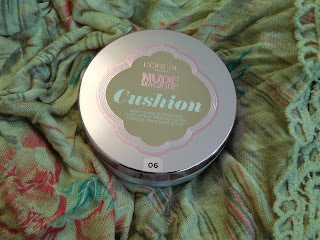 I believe this is a new release, and I struggle to find any swatches or info on other blogs. I picked the colour "As if". It's a sheer coral pink. It didn't leave a stain. First of all; the name. Really, L'Oreal? I see Superdrug is actually selling this as 'Sassy Balm' so I'm guessing the name will put off a lot of people. Now onto the packaging. 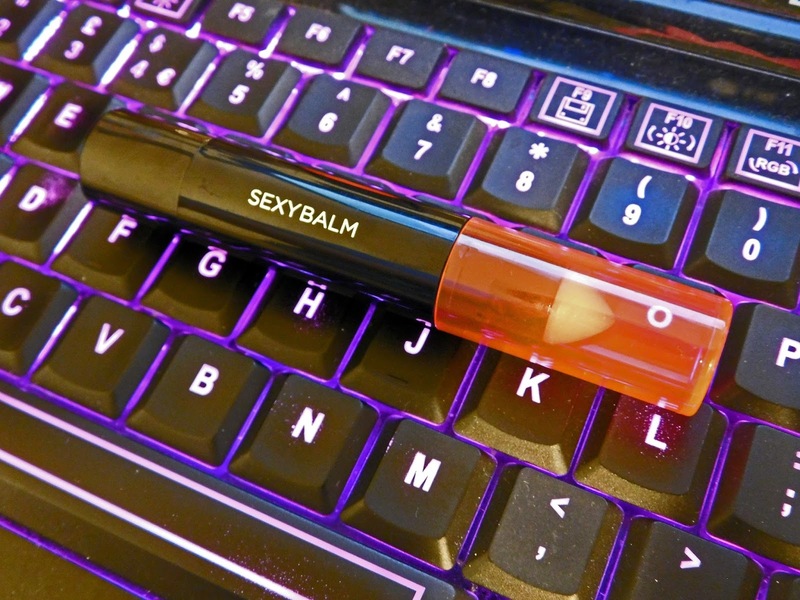 It is a nicely pointed bullet, which is actually really good to apply the balm with the way I apply balm, but may not be for everyone. The tube is a twist up with a translucent top to match the colour of the balm. Feels a bit cheap and almost feel the twist up feature might break soon-ish. The lid stayed on well though in my handbag. Now for the balm itself. The initial smell is a bit weird, but doesn't last. The consistency of the balm is smooth and thick, and dare I say it, a bit sticky? The formula comes in sheer or opaque finish (my colour is sheer). L'Oreal claims it will keep lips smooth for 12hrs. It might, if you manage to keep it on for that long! Mostly it actually made my lips a bit dry and I've had some flaking which I don't normally get. For £4.99 I guess I possibly expected too much? It is a tinted lip balm, after all. No matter. All and all I would give this 3 out of 5 stars, but I won't be repurchasing this simply because I can get better tinted lip balms from other brands like Barry M, Revlon and Maybelline. And it is another H&M polish for you all :) I have so many now it's ridiculous. But they have just proved consistently awesome, and this is no exception. I'm gonna have to add these all to my Helmers in a 'special' section! This is 2 coats with the Bourjois 3D Gel top coat. I wore this all last week, until it finally started chipping on Friday! I even did a matching pedicure. How's that for performance for £3.99?? I just wish H&M would roll out the makeup into stores nationwide already, it's been over a year now!! I have been eagerly awaiting the launch of this in the UK! 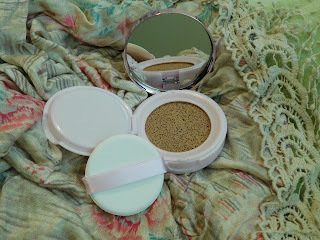 Cushion foundations, is a k-beauty (Korean beauty) thing. You can get foundations, blush, lip colour, eye colour cushion everything! over there apparently. There's been a number of versions available in the US for some time, but only the Lancome version in the UK. But finally L'Oreal released their cushion foundation in the UK, after launching it probably a couple of years ago in the US. And yet, I can't actually find that much info on it on blogs, so I'm guessing L'Oreal didn't promote this launch much?? I have now seen an advert on YouTube for it, and as of yesterday it appears on their UK website. The foundation comes in 7 shades in the UK, and a bronzer shade too (which I may actually need to try). I have shade '06 Rose Beige'. You are supposed to tap it on using the pad applicator. I will only say this once; eh, no. I wore it for a whole day when I was working at home. I hoovered some before I started work (we had a flooring surveyor come round), did a lot of computer work, went for a run at lunchtime (I didn't wash after, in the name of science), did more computer work and then I cooked and ate a hot curry! I wore this for over 12 hours, and it looked pretty much the same all the time. It isn't strictly transfer proof but it also doesn't disappear unless you wipe it. It disappeared around my nose when I blew my nose. The finish is as the name suggests 'dewy', very similar finish (but more coverage) to BareMineral Complexion Rescue. 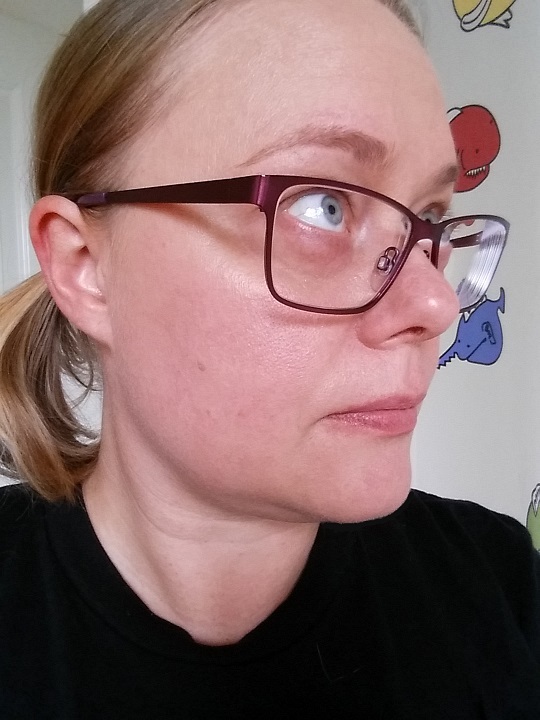 The coverage I got is light to medium, but I built it up successfully to a good medium coverage on my cheeks. I do like this foundation a lot! Because of the dewiness of it, I am probably going to use this more in the winter than the summer, or days when I feel more dry and need some dewy radiance. It does appear to say on the back of the packaging that it contains SPF29 so possibly not ideal if you plan on getting flash photographed a lot, but of course great if you use it as an everyday foundation. 4 out of 5 stars mainly because it has a rather high normal price. I got this with points in Boots last week; it's currently on introductory price at £9.99 (RRP £14.99) in both Boots and Superdrug. I think for what it is, the RRP is too high - I can't say I would normally want to pay more than £10 for this especially since it only contains 14.9 grams of product. 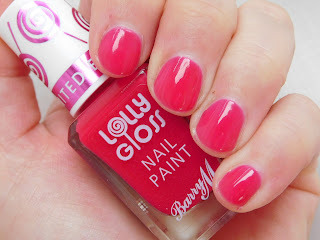 NOTD: Barry M Lolly Gloss "Pink Candy"
Another magnificent nail polish from Barry M - the king of high street nail colour! This is limited edition, and I am not sure if it's possibly only sold in Superdrug? These have a so called jelly finish and come in four colours. Apparently they are scented; but I could only detect a very faint fruity scent from this? Nothing like the Parfumerie series from Revlon. No matter - it's awesome. I love this finish and colour for summer. Who cares if it gives you VNL, it's juicy and bright and just so totally cheerful! :) This polish is similar to the OPI Color Paints from last year, but a bit more warm toned than "Pen & Pink". Which I can't actually find a post on... Must remedy that! You could probably use it to layer over a silver metallic polish just like the OPI Color Paints too, so another thing I must try! I did 2 coats here with Bourjois 3D Gel top coat. Love it! It did take a while to dry down and harden - but it's worth the wait for 2 coats! 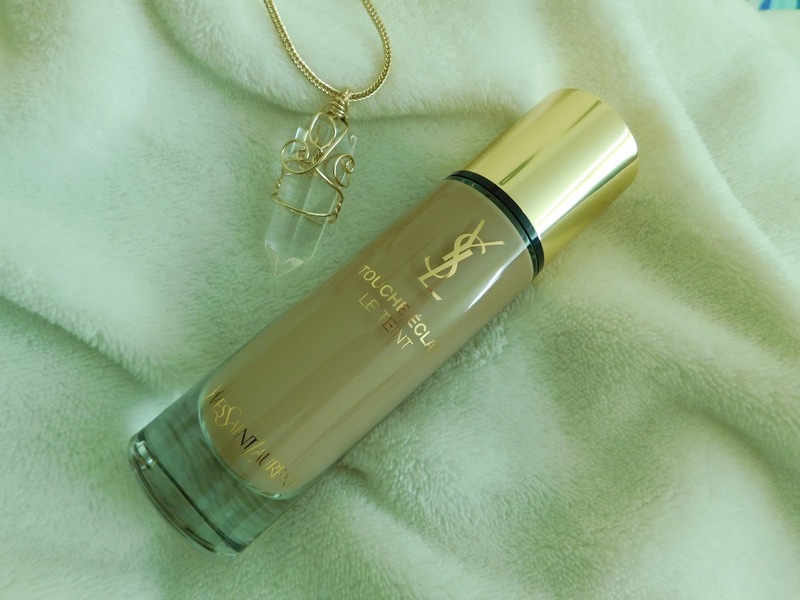 In my review for the YSL Tint in oil I mentioned I got a sample of the new formula Touche Eclat Le Teint. I finally managed to get a full size bottle in my shade so here's a review! It promises '8 hrs of sleep in a bottle', more coverage and staying power yet a weightless feel on the skin. I can really use some of that! These samples were '7 day samples'; rather nifty glass jars with a spatula thing built into the lid. Me likey! I think once it's finished I'll probably clean it and refill with more foundation for when I travel! Anyway, after having tried it at home for 3 days I decided I *needed* a full size in my life! I then played the game of find your shade... There are some new shades launched with the reformulation, and my shade, BR45, is one of them. For ages, Debenhams wasn't stocking the shade, and neither was Boots. Then I found out Debenhams was doing a May Day special with a lot of money off certain beauty brands, YSL being one of them, so I checked it out. And they suddenly stocked my shade! So in the end I paid £26 for this, RRP is £32.50! Now THAT is heartwarming savings :) But still, this is a very pricey product. The good thing about ordering from Debenhams is that it comes with a sample - use the sample and if the shade isn't right or you hate it, you can return or exchange the unopened foundation! This may come in handy. 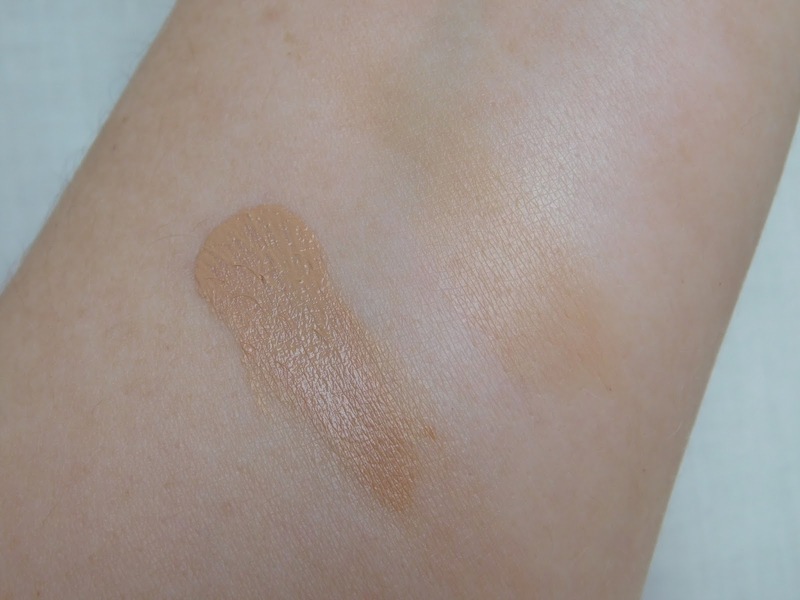 I am glad I got shade-matched in store and didn't rely on the swatches you see when you shop online?! I had a look at the Debenhams YSL brand store, where they have a photo of the kind of women that would wear the different shades. I was kind of shocked that BR45 falls into the 'medium' skin tone range - I would imagine my shade range being more like BR30, but with blonde hair?.. I'm guessing the lower numbers are very, very pale! So if possible I would go to a counter and get matched for this foundation - there are 22 shades, so there is bound to be something for everyone. They are grouped in 3 groups; B (Beige, neutral), BD (Beige Doré, warm) and BR (Beige Rosé, cool). All the colours have names one the boxes, but I couldn't find a list anywhere? My shade BR45 is called 'Cool Bisque'. Let's look at the application and performance. When I had my makeover at the YSL counter the lady used the new YSL Touche Eclat Y-Brush. It's a small, round, dense brush with a well for the foundation (shaped like a Y...). Very similar to the BareMinerals Perfecting Face Brush. I wasn't about to fork out the same amount again for a brush so I decided in my wisdom to go at it with a Beauty Blender.  The coverage was good with the Beauty Blender and it looked quite natural. But it wasn't as nice a finish as when I'd had my makeover. So the next day I tried it with my new Zoeva 102 Silk Finish brush. This time I got great coverage, a natural look and maybe just that little bit more airbrushed finish! I have continued to use the Zoeva brush, as I think a dense brush is able to buff the foundation to a better finish. An alternative would be the Real Techniques Expert Face Brush. Unless of course you want to pay £32.50 for the YSL brush! 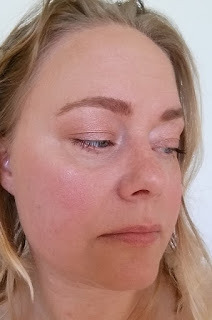 I am still as pleased with this as the first time I had it on - I can see this being a long-term friend for those days when I need a bit more of a made-up look :) 5 out of 5 stars for me! 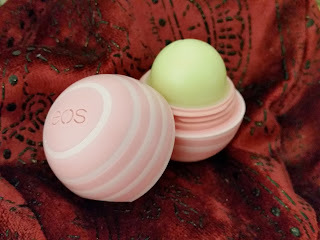 REVIEW: EOS Lip Balm "Coconut Milk"
These new ones have swirled packaging, unlike the solid colour older ones. The beauty of EOS lip balms are that they are petrolatum free! I find that if I use a petrolatum lip product too often I get dry lips (I'm looking at you, Maybelline Baby Lips). Beeswax products like Burts Bees are usually more protective if you are outside in the cold but for an overnight treat, nothing beats these EOS balms! EOS retails for £6.50 but beware fakes! This is a cult brand and highly counterfeited (Google it for more info). I only buy mine from places like Boots so I know they are the trusted original!